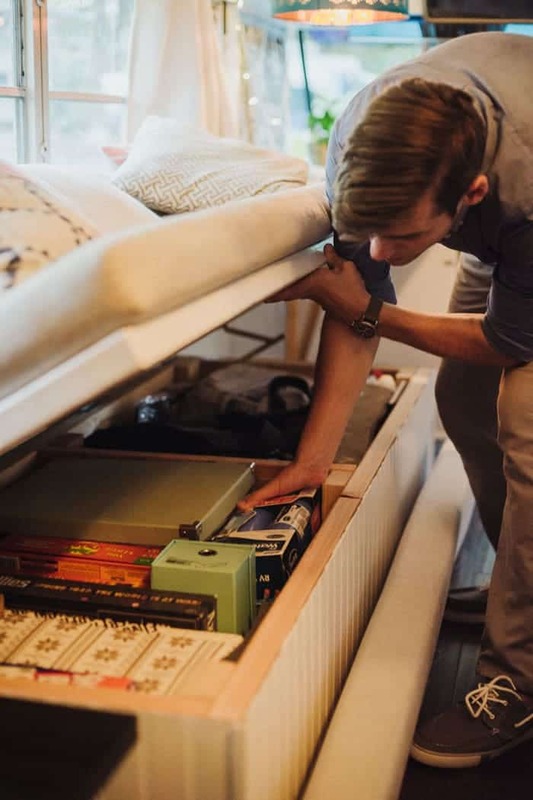 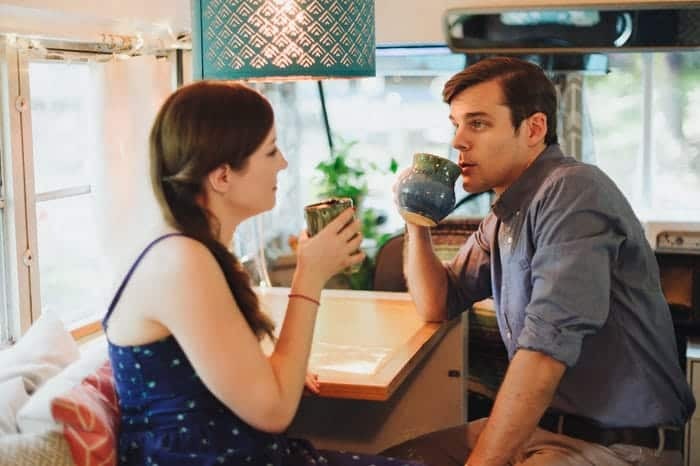 Young couples who want the freedom of living in their own space, but hate the idea of having to be tied down to one spot with a 30-year mortgage when there’s so much out there to explore. 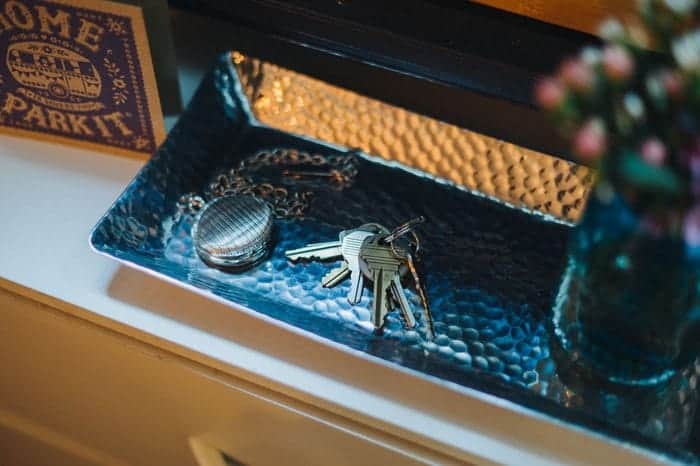 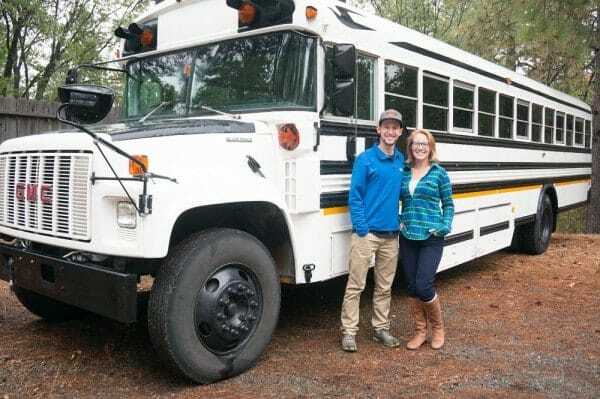 Andrew and Julie wrangled with this dilemma, hoping to find a way to balance their dream to travel with the security of a place to call home, and it seems like they figured out a solution. 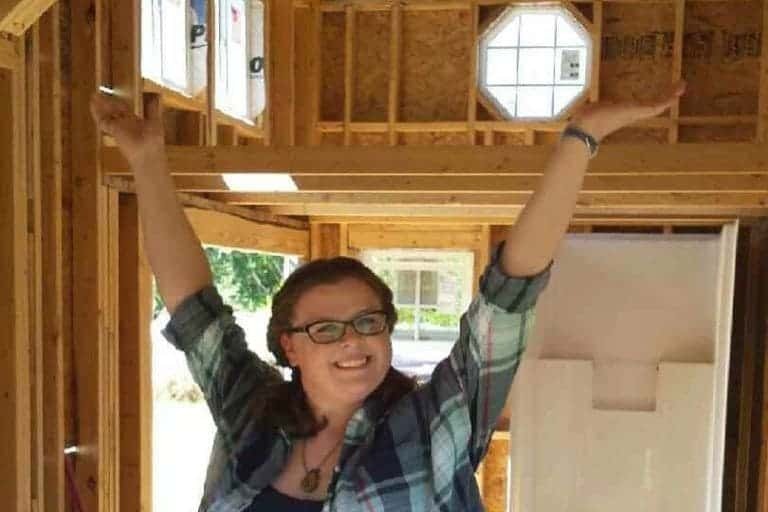 A couple years ago they wanted to move out of Chicago, and around that time the tiny house movement was gaining steam, with inspiring builds popping up all over the place. 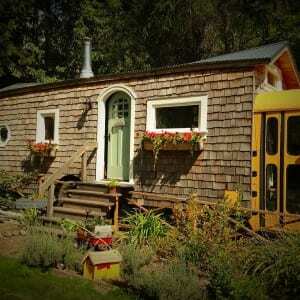 They identified with the ethos of the movement, finding the freedom to own a home outright an appealing notion. 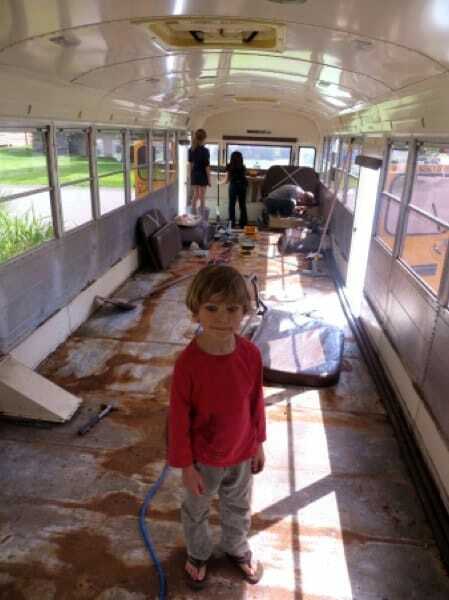 After carefully considering their options and talking with numerous builders they settled on an unusual platform – a used 1990 Bluebird school bus for $10,000. 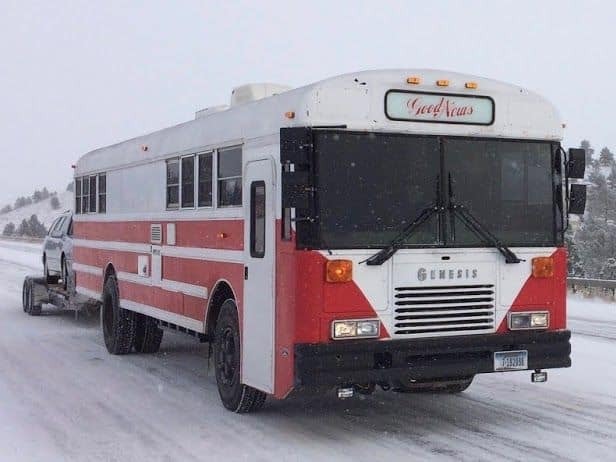 Sounds a bit expensive for an old bus, right? 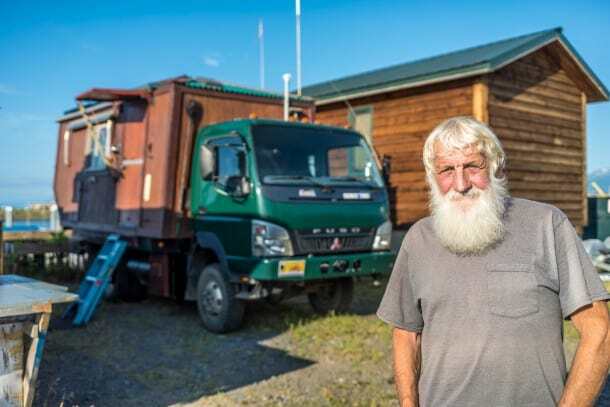 Well lucky for them, it had already been partially converted into a livable space, as was being used for a temporary shelter on a cattle ranch. 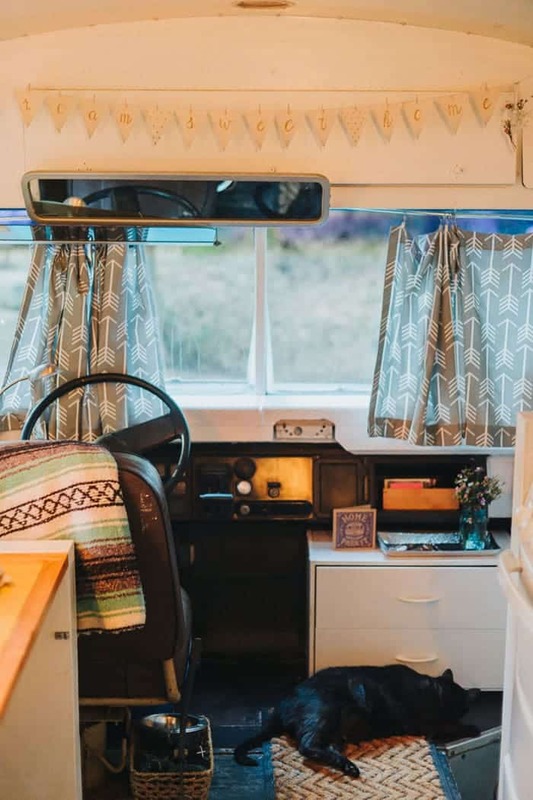 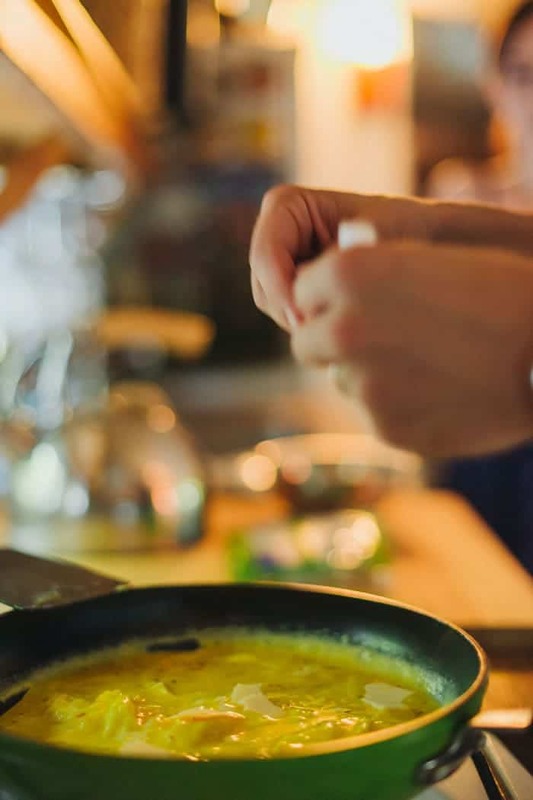 After bringing it back across four state lines, they set to work making it their own, and transformed it from an ubiquitous yellow bus into a charming vintage inspired place to call home. 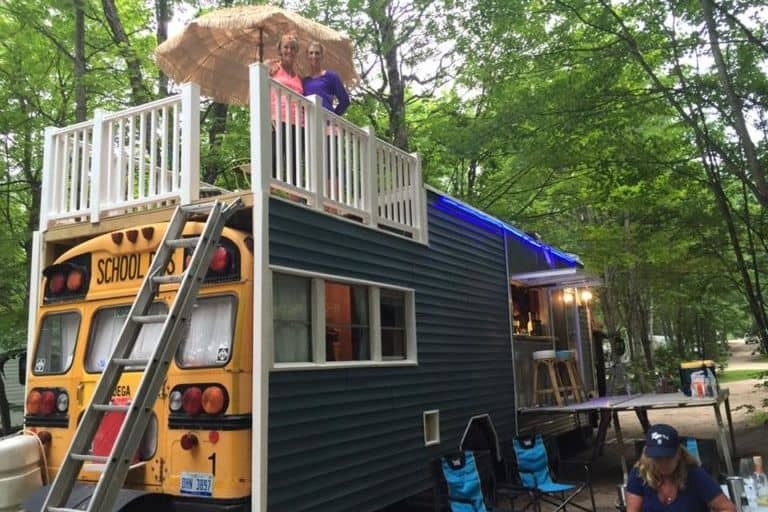 All said and done, Julie says they spent just about $600 on decor and renovations to make it their own. 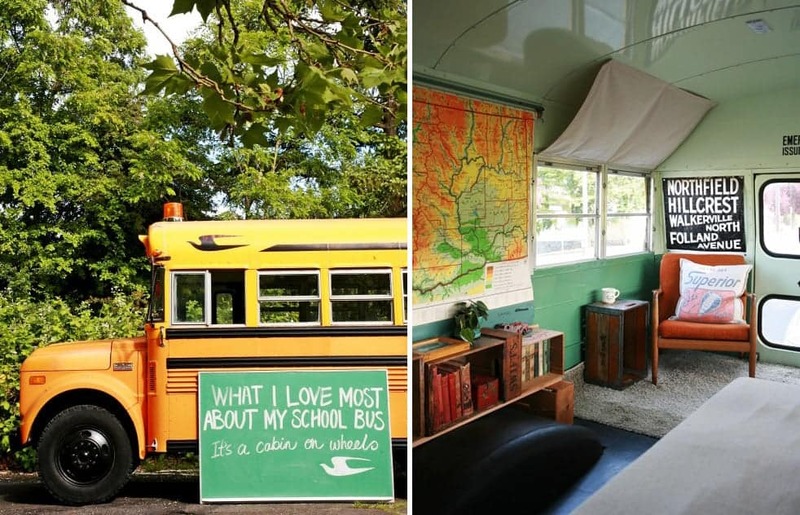 They did an amazing job building this little home; a quick glance at any of the interior shots and you’d never imagine it was once a cold, steel school bus. 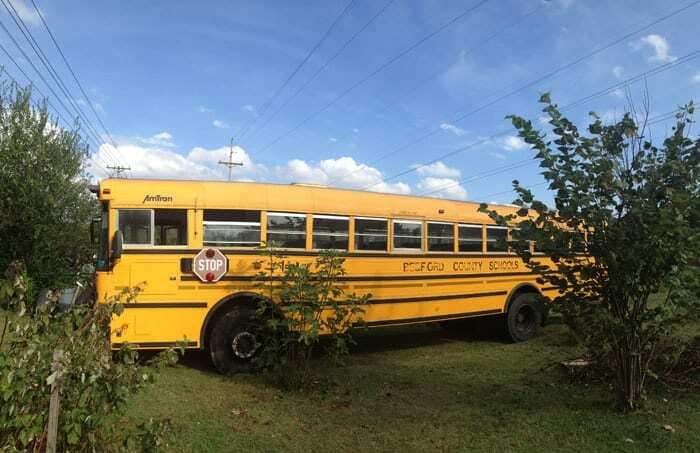 She said the most challenging part was finding proper insurance, and cautions others who might want to convert a school bus into a home to do some research before beginning their project, as most companies consider it a huge liability. 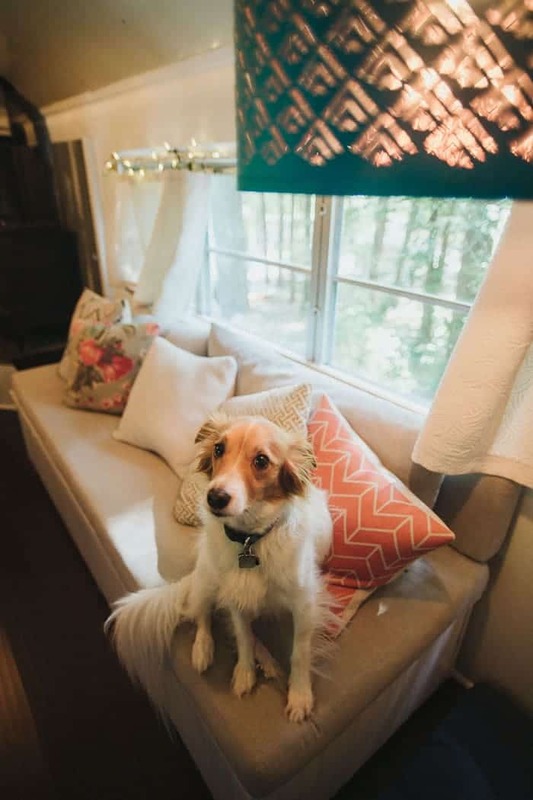 In the end though, she was able to secure insurance, and peace of mind that their hard work would be protected. 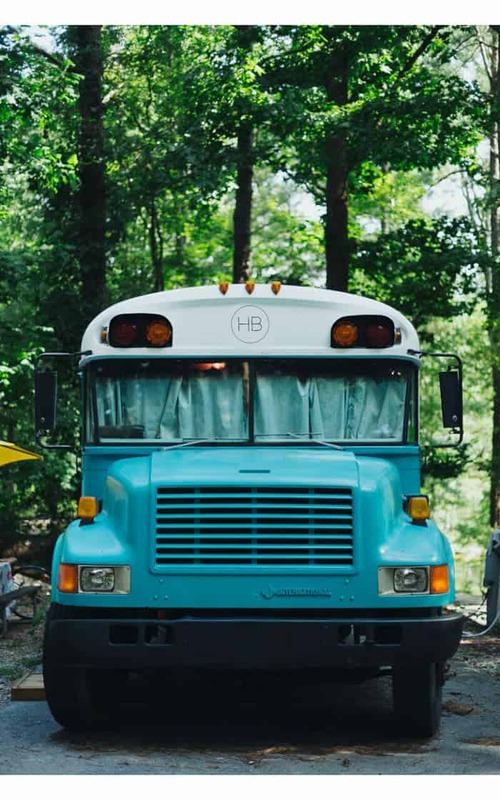 Want to learn more about this beautiful blue bus home? 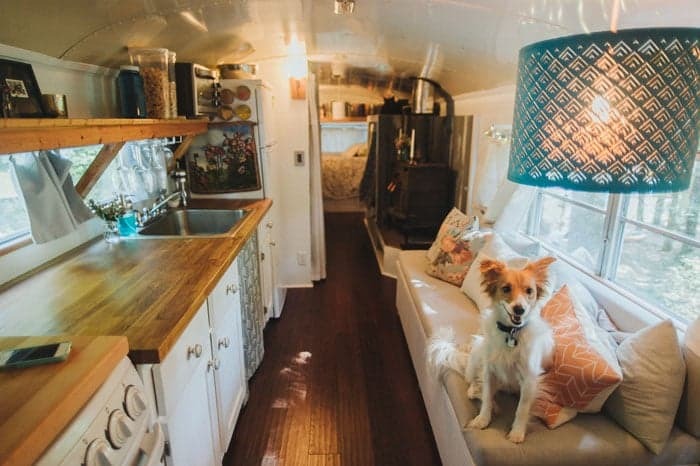 Be sure to check out their website at http://houseb.us/ and follow their travels on Instagram. 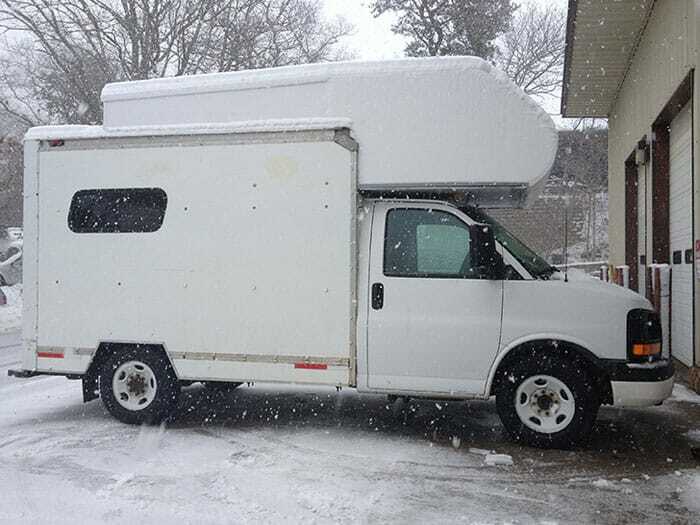 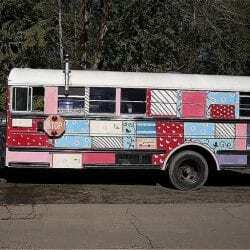 And click here if you want to see a bunch more awesome “skoolie” bus conversions.